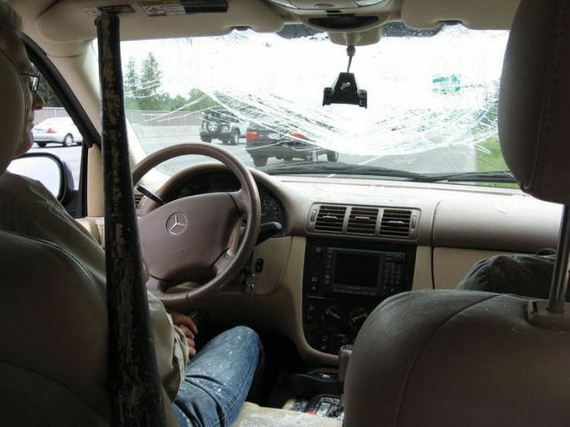 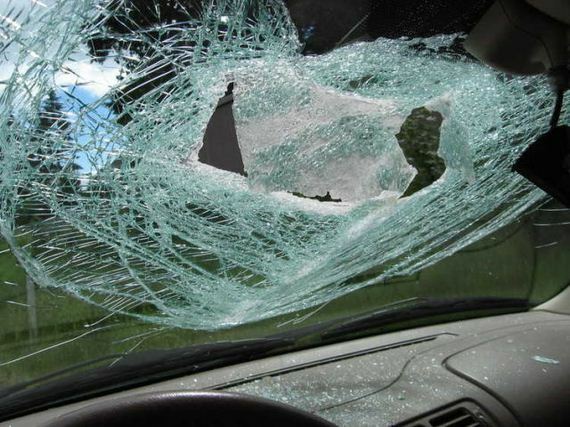 What Happened to This Windshield? 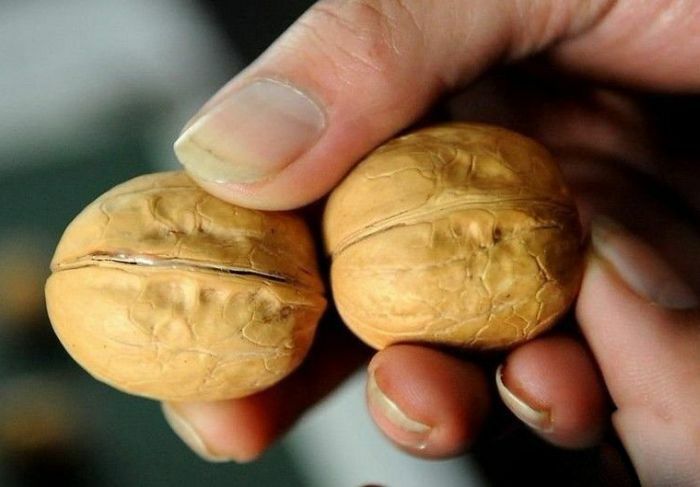 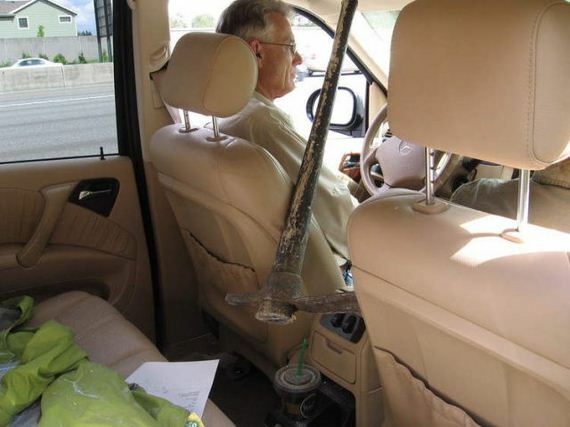 Shortly after entering the I-405 freeway in Kirkland, Washington the couple saw a pickaxe hurtle towards them from the back of a pickup truck. 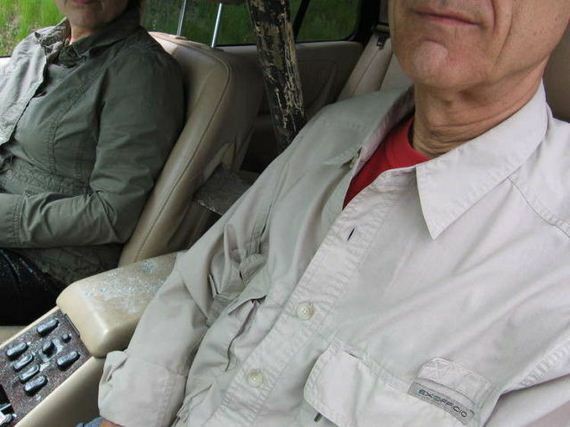 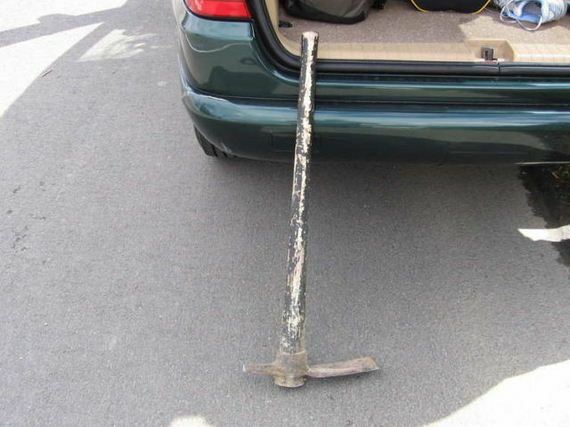 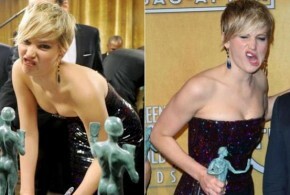 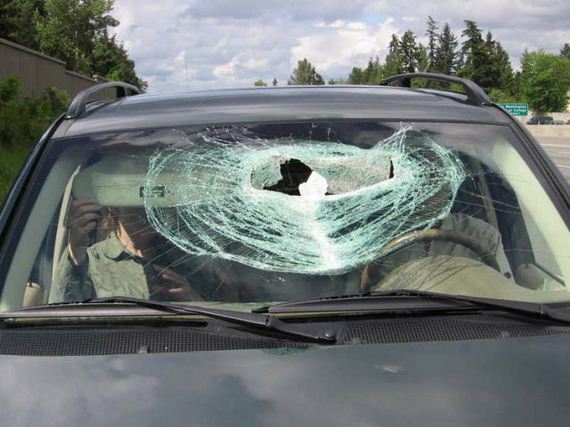 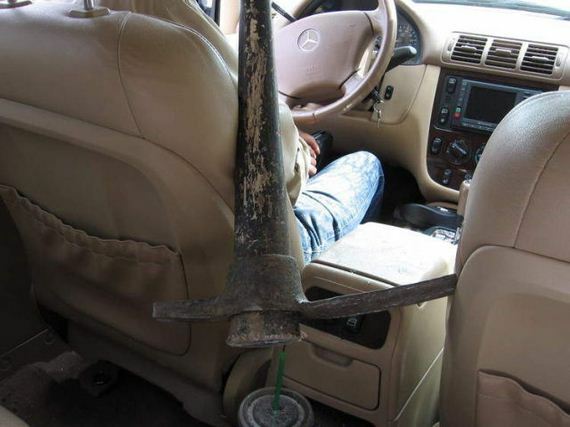 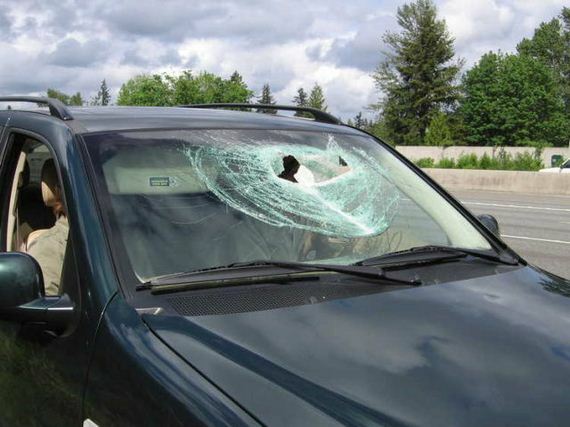 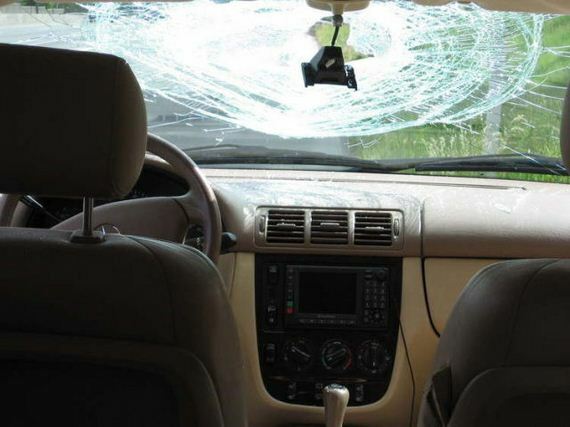 The pickaxe smashed through their SUV windshield and lodged itself between their seats, narrowly missing both of them. 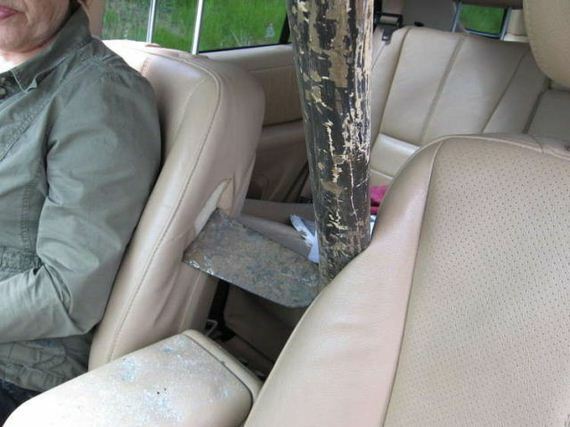 Luckily, neither of them was injured, but investigators are still searching for the pickup truck.